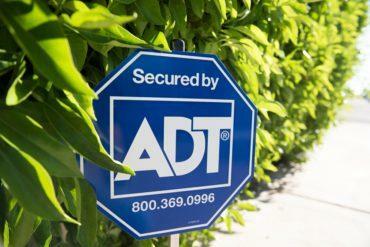 You’ve made the decision to purchase ADT home security, but now what? ADT home security services are about much more than just protecting your property. You’ll have a newfound sense of peace knowing your home is being monitored 24/7 for a number of potentially dangerous situations, such as fires, floods, blackouts, and gas leaks. Plus, if you’re taking advantage of smart home integration, you can also benefit from money-saving features including energy monitoring and automated light controls. ADT services aren’t just about security—they are also an investment in the future of your property and general well-being. The following guide lets you know what to expect after you decide which security features you want, how to prepare for installation, and what you need to know after the installation process. ADT offers flexible home installation performed by experienced professionals. Scheduling your installation is easy and can be done at the time of purchase. Representatives will work with you to determine the earliest possible date to set up your new system, and in many cases, same-day installation is an option. ADT installation professionals have specialized training and will install the basic components of your system while also explaining—in simple terms—how everything works. Depending on the equipment you’ve selected, the installation process can vary. Generally, though, every installation includes setting up your main digital keypad, door/window detectors, and motion detectors. Another interesting consideration is the Samsung SmartThings–powered ADT DIY security and Home Automation Solutions. This kit, available through Best Buy, can be an excellent extension to both your existing monitored service and ADT Pulse home automation system. You can use it to get started on your home security network and professional monitoring, but it’s not a substitute for the full ADT security suite. It’s also important to keep in mind that alarm systems alert you to potential emergencies as they occur. While this feature can drastically cut emergency response times and the severity of any potential damages, you can also take some extra measures to reduce your chances of theft in the first place. For example, simple steps such as locking doors, windows, and other entry ways reduce the risk of break-ins. Preparing for an ADT installation is easy. It’s important to make sure your home has power, a working phone line and/or a Wi-Fi connection, and accessible outlets near potential camera points. It’s also good to note that some cities and counties may require you to have alarm permits. You can typically find this information by contacting your local law enforcement through their nonemergency channels. Lastly, think about potential passcodes, passwords, and pin numbers you’ll use to access your system. If you selected the ADT Pulse, the device may require additional setup. As a fully integrated smart home system for ADT security, the ADT Pulse must be set up on your computer or through the ADT mobile app. ADT Pulse enhances your security experience by providing live updates for all your alarm sensors and remote camera access, but it goes even further. By connecting with your thermostat, lighting systems, door locks, and appliances, it can also help you save both time and money. Your ADT installation professional can help you set up various ADT Pulse features and familiarize you with how to add additional features in the future. You can also read our guide for more detailed tips and special instructions for ADT Pulse installations. Aside from familiarizing yourself with your new system and learning to navigate the intuitive menu, you shouldn’t need to worry about much else. If you decide to add new equipment or services in the future, an ADT representative can let you know whether you’ll need to consult another installation professional. Regardless of how you decide to set up your home, remember that representatives are standing by to help you get the best service based on your personal needs. Call now to learn more.